SpringCard R&D team is proud to release a simple software solution to add support for SpringCard USB PC/SC Couplers to Android tablets (or smartphone). 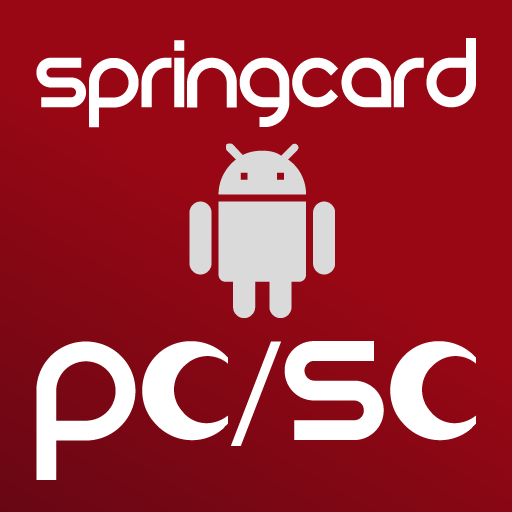 This software suite is compliant with all SpringCard USB PC/SC Couplers, for instance SpringCard Prox’N’Roll PC/SC, Prox’N’Roll HSP PC/SC, TwistyWriter HSP, CrazyWriter HSP, CSB HSP… Note that the current version of the Service and Library allows to work only with the Coupler’s contactless slot. Don’t hesitate to contact us if you have an interest into addressing the smartcard / SAM slots of the Couplers. 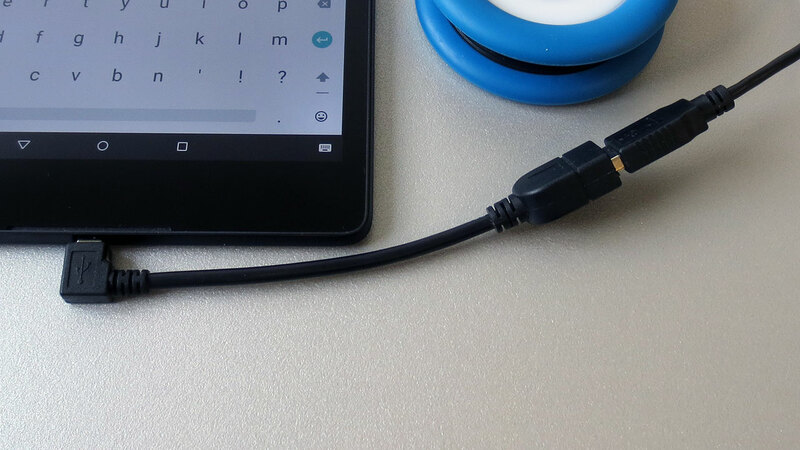 To communicate with a USB PC/SC Coupler -which is basically a USB device, the Android tablet (or smartphone) must provide a USB Host stack. This should be the case of all tablets running Android 3.1 and higher. We recommend Nexus 7 and Nexus 9 tablets, running Android 5.0 or 5.1, which are the reference platforms we use to develop and test the solution. An adapter cable is required to connect the Coupler if your tablet doesn’t provide a full-size USB host connector. Tip: if you’re not sure whether your tablet supports USB Host or not, just install the Service and the Demo application from Google Play, and check that your SpringCard Coupler is correctly activated by your tablet’s system. Remember that the Coupler will be powered by the tablet’s battery. Some tablets could be powered (by their mains adapter) even when an USB device is present, but most don’t; choose your tablet accordingly if you’re designing a kiosk or public-use system that should be mains-powered 24/7). 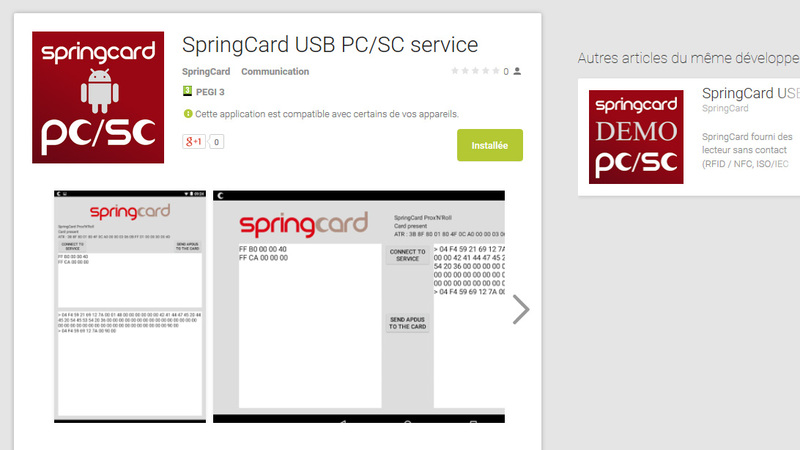 To develop your own application using a SpringCard Coupler from Android, download the library (and the sample Demo application) from GitHub, and follow the Quick Start Guide (ref. 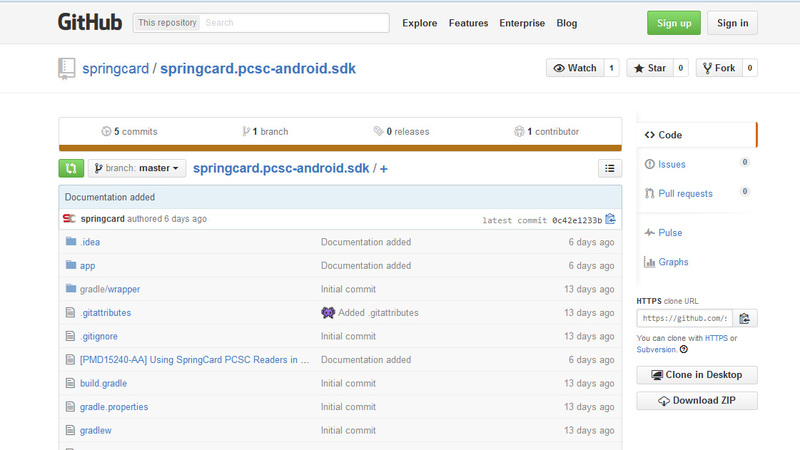 SpringCard PMD15240) which is included in the GitHub project.